Grant Haverstock is a happy guy. “I have the joy of making a living doing what I love, and sharing it with other people,” he says. Grant is a blacksmith, which in this day and age is a rare thing to be. He and his wife, Jessica Klein, own FireHouse Ironworks in Whycocomagh. 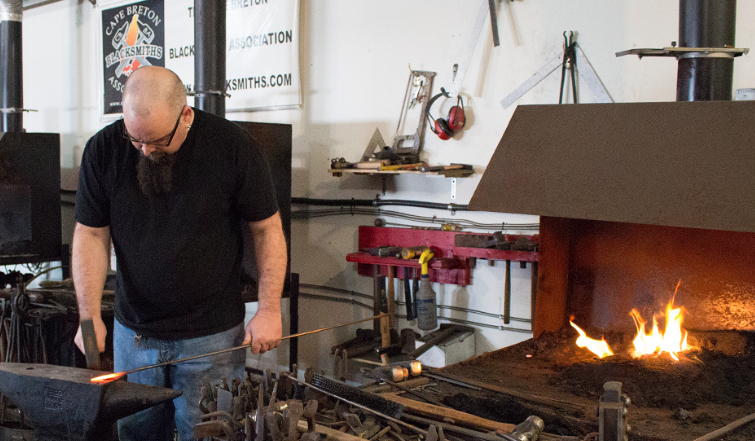 While working out West, Grant took up blacksmithing as a hobby, and quickly became addicted to the combination of fire, heavy metal, and creative process. In 2010, Grant and Jessica decided to ditch the rat race and move home to launch their business. They searched for property in Cape Breton and found the old fire hall in Whycocomagh. 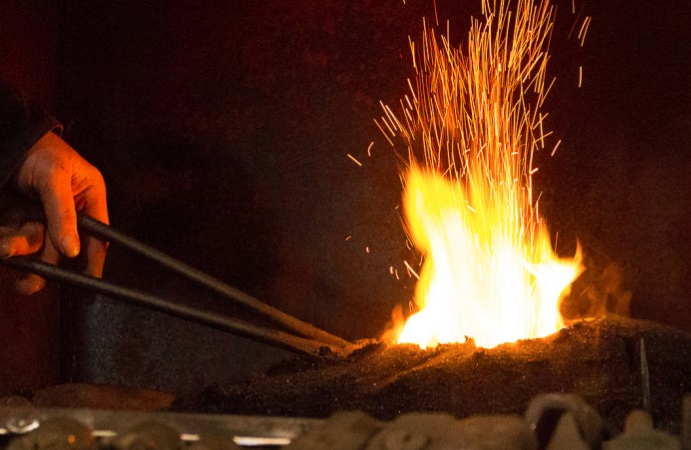 As well as doing custom work and selling handcrafted items, FireHouse Ironworks also offers training in the ancient craft of blacksmithing, ranging from beginner to advanced courses.